(MENAFN - The Conversation) The ABC board comes out badly from the report of the Senate inquiry into political interference in the ABC , which culminated last September in the sacking of the managing director, Michelle Guthrie, and the resignation of the chair, Justin Milne. This catalogue of events may give rise to the perception that the ABC Board had not been sufficiently active in protecting either the ABC's independence from political interference or its own integrity. The committee says it was 'astounded' that the board did not inquire into the causes of what it knew to be tensions between Milne and Guthrie. 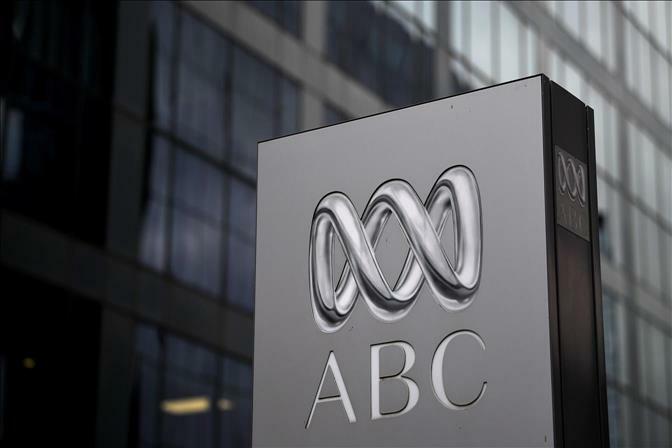 It notes that allegations of political interference against Milne had been preceded by months of government complaints against the ABC. During this time, ABC board members had been aware of the declining relationship between Milne and Guthrie. But they had not made further inquiries about it, even though it was clearly impacting on the corporation and jeopardising the independence of key personnel. This was a reference to two journalists, chief economics correspondent Emma Alberici and political editor Andrew Probyn , whom Milne allegedly wanted sacked. The committee says it was not until Guthrie's now famous dossier about Milne's alleged interference came out in the Fairfax press that the rest of the board woke up to what had been going on. In the dossier, Guthrie alleged that Milne told her to 'get rid of' Alberici and 'shoot' Probyn because the government 'hated' them, and Probyn's continued presence was putting at risk half-a-billion dollars of funding for the ABC. Milne has always denied there was any interference by the government. He has said the 'interests of the ABC have always been utmost in my mind'. The committee says that even after all this came to light and the cause of the breakdown between Milne and Guthrie had become clear, the board mishandled it. Instead of starting an immediate investigation into the allegations of political interference by Milne, it had persisted with its planned sacking of Guthrie. The committee says that had the allegations in Guthrie's dossier not leaked to the media, the board might never have suggested Milne consider his position, a suggestion that led directly to his resignation. In other words, had it not been for the public pressure caused by the leak of the dossier, the board might never have put pressure on Milne to resign, and his alleged undermining of the ABC's editorial independence might have been swept under the carpet. The committee finds that the government's control over ABC funding featured prominently in Milne's thoughts and actions. It also finds that the Coalition government was complicit in the events of September 2018 by using funding as a lever to exert political influence on the ABC. The committee makes six recommendations. One is that the board reviews these events and reports to the minister for communications on what steps it proposes to take to guard against a recurrence. Its other recommendations are directed at making appointments to the ABC board more transparent, gathering a broader range of experience, including media experience, on the board, and achieving greater stability in funding for the ABC. The committee says the problem of politicisation of appointments to the ABC board 'runs deep and wide', and that it is important to bring transparency and accountability to the processes. It expresses 'grave concern' that in the midst of the committee's inquiry, Prime Minister Scott Morrison chose to make what it called a 'captain's pick' and appoint Ita Buttrose as the new chair . More broadly, the committee says the formal process for board appointments needs to be tightened up. selection criteria for board appointments be broadened to encourage a wider range of backgrounds. explicit selection criteria be established for the appointment of the nomination panel, whose job is to put forward names to the minister for board appointments, so its work will be more transparent. The committee also recommends that governments commit to a stable funding cycle for the ABC. This is partly because it gives the ABC certainty and partly to reduce the scope for funding to be used as a lever of political influence. There is a dissenting report by the two Coalition senators on the committee. They reject all of this, saying the government has not interfered in the ABC and all the present procedures about board appointments and funding are fine. What happens next will no doubt be influenced to some extent by the outcome of the forthcoming federal election. However, much of the response is in the hands of Buttrose. She has the opportunity to assess the quality of the board she has inherited in the light of the committee's findings, to lead the recommended review of last year's events and to create a new boardroom culture.